A lifetime of pillage and destruction can leave one a little jaded and it’s a little known fact that Vikings would relax by spinning the reels on rudimentary slot machines; they would of course have liked Viking Clash, a release from Push Gaming with some interesting dual reel gameplay – find out how it works below. 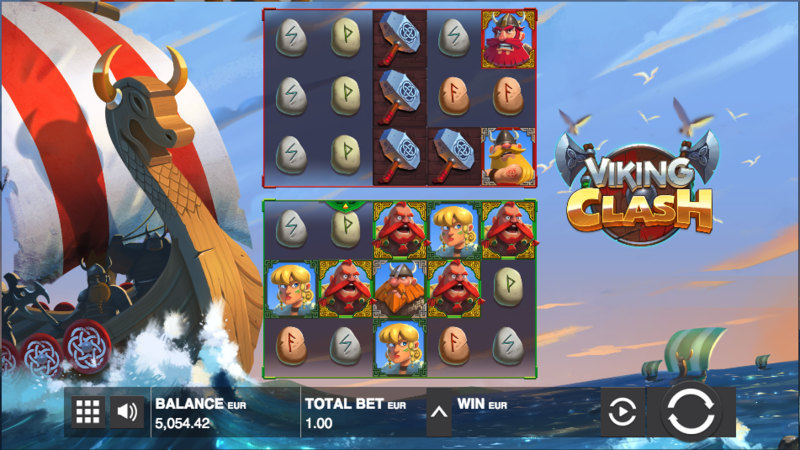 Viking Clash is a five reel slot with three rows and twenty five paylines per reel set; both spin independently of each other except for the scatter symbols but we’ll explain that in more detail shortly. A large longboat crests the waves behind the reels and there are some atmospheric sound effects to add to the mix. The symbols are all related to the theme and include six fierce-looking Vikings, a massive hammer, an axe and three rune stones for the lower values. The wild is a golden shield which will replace all others to help form winning matches except for the red catapult and green cannon scatter symbols; there’s also a wild ship which appears in its own feature. This may occur randomly after any spin in the base game and you’ll see some ships appear on reels three, four and five; they’ll sail towards the left, stopping on each reel and each time they stop any wins are evaluated. When they drop of the edge to the left the round is over. 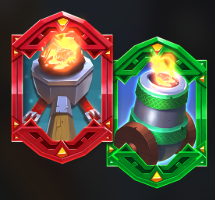 This is triggered by landing three red catapults or green cannons anywhere on either set of reels; you start with just six free spins but first any cannons will launch a wild symbol on to a reel directly above and any catapult will drop one underneath – these wilds remain in place until the round ends. Any scatter symbols landing during this round will award one extra spin and fire one more wild onto the opposite reel set. Again, these wilds stay there until the spins end. If this all sounds a bit complicated, have a look at the video above which may make it a bit clearer. 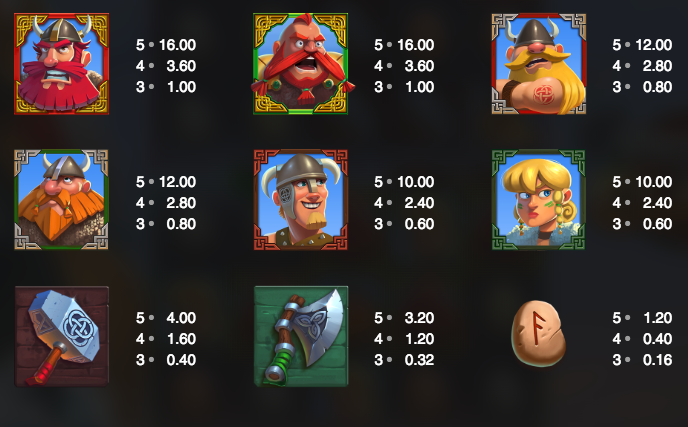 Viking Clash is a good-looking slot with an always-popular theme, some clever gameplay and a free spin feature which has plenty of money-making potential. It’s highly recommended and comes with an RTP of 96.67%.